Our research reports on the 2,000 executives from the marketing community, across 22 markets, who agreed that innovation drives growth. 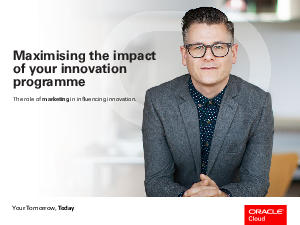 However, barriers to innovation remain significant, ranging from isolation within the business, to a lack of insight into the data, and absent support from leadership in 24% of cases, and data remains the second largest issue for marketing with a 10% gap. New technologies help harness data, demonstrate how innovation will benefit teams and businesses, and help CMOs create a successful innovation agenda.